In some jurisdictions, a stenographic record is not required in a deposition. Some cases do not warrant the expense. 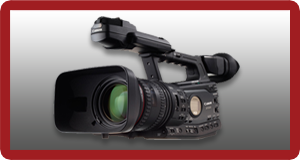 When the video record alone will suffice, call on RPL for non-stenographic depositions. Your RPL videographer is also a notary, and will swear in your witness. You get the same high-quality production value in your deposition video as in our Interactive and Standard depos. For a nominal additional cost, we run voice recognition on the deposition to produce a rough transcript for your reference.